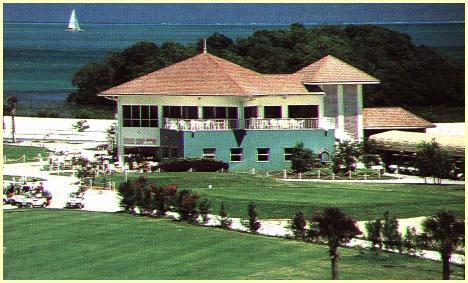 SafeHaven is Grand Cayman's championship 18 hole course designed in 1994 by Roy Case. 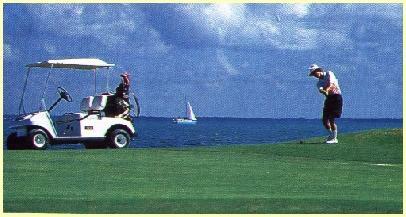 It is set against the North Sound and rated at a par 71 and measures 6525 yards. The course is laid out in a long intertwining string of holes that either play directly into, or follow the trade wind. SafeHaven has some scenic ocean vistas near hole 12. The Links is set across from the Seven Mile Beach and contains sea views as well as scenic vista created by ponds, lakes and some 4,000 trees and shrubs. 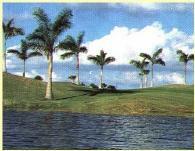 Another 18 hole course is at Hyatt Hotel, but it is a considerably shorter executive style course.